SKU: 11H0120. 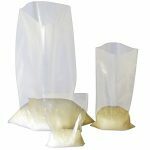 Categories: Food, Food Grade Tubs, Plastics, Soups/Sauces/Ice-Cream, Tamper Evident Pots. Tags: Deli, Ice-cream, Jams, Nuts, Sauces, Soups, Sweets. 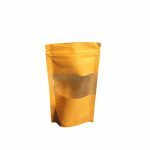 This high quality 120ml plastic tub is microwavable and comes with a snap on tamper evident lid. It is ideal for deli goods, soups, sauces, sweets and nuts.